Website with Content Management System for product presentation. 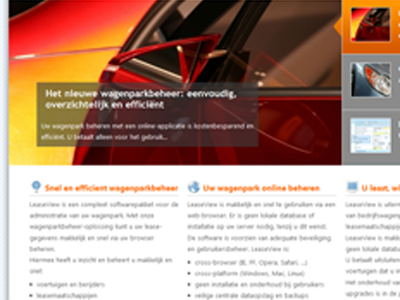 The site has been indexed by most search engines and the content has optimized for Dutch market. Top ranking in Dutch Google for keywords such as ‘wagenparkbeheer software‘.